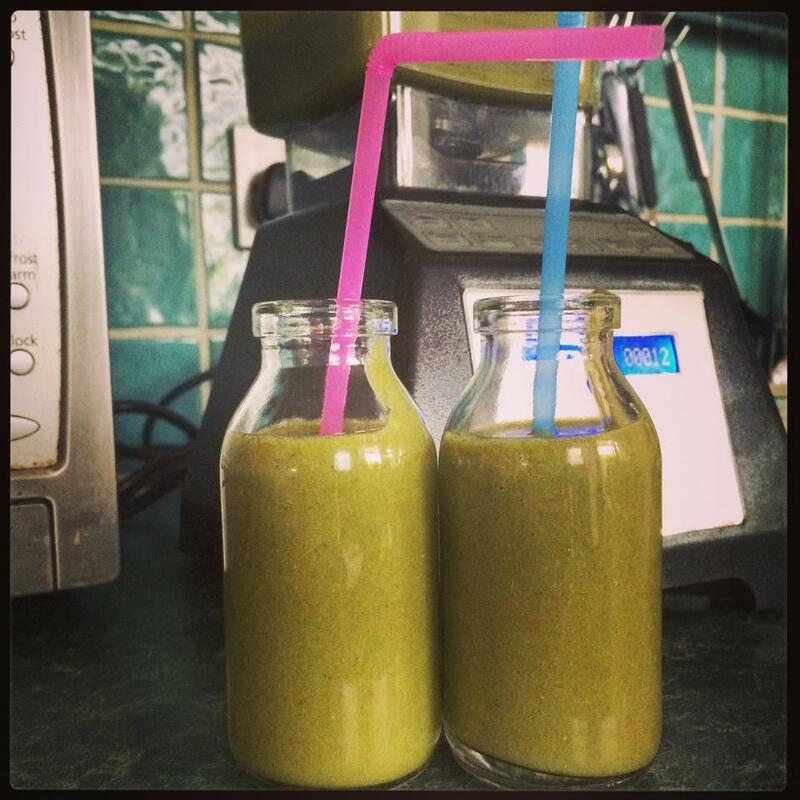 I never thought in a month of Sunday’s I would be able to get my children to drink Green Juice, they seem to have built-in aversions to any vegetables so hiding them is key for me. I actually can’t take all the credit for this, as the starting block came from Peppa Pig (don’t all life affirming moments when you are under 5) and the episode when they made smoothies and juices including a Dinosaur Juice. Suddenly drinking some green wasn’t so unappealing but it still had to taste good. So I upped the fruit content et voila, the kids love it, phew! I throw everything is my amazing Blendtec (new love of my life) and 40 secs later, have this wonderful juice. Here is the Peppa Pig episode if you think your kids could benefit from learning about Dinosaur Juice!